One of the brilliant actors of the contemporary film industry of India is Ayushmann Khurrana. He is surley one of the finest actors of this generation, and has fared really well in the Bollywood as well as Television industry. And all his fame and success can only be credited to his sheer hard work and talent and of course he did it all without any jacks of the industry. His talent is something everyone is aware of and this of course is something which can’t be said about other actors of this generation. He is an outsider to the industry and made his way up to the top starting from the bottom step, took little baby steps at a time. He is now in the league with some of the finest actors of Bollywood. He is not restricted to acting only, but is also known for writing and singing very well, and therefore proving himself to be a man of many gifts. 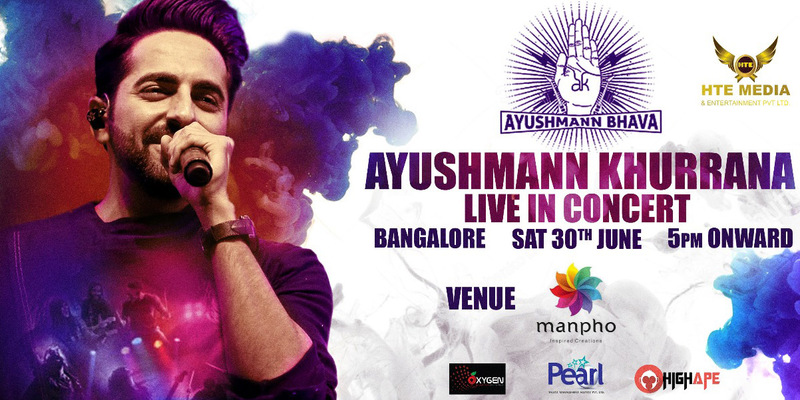 His upcoming concert - Ayushmann Khurrana concert in Bangalore is one such example. Here is the list of top Ayushmann Khurrana movies that you must not miss. Ayushmann Khurrana played the role of Abhimanyu Roy, who has always been madly in love with Bindu, whose role was played by Parineeti Chopra. But, his hesitancy didn’t allow him to share his feelings for her. After a tragedy strikes in Bindu’s life and she is bound to leave the country whereas Abhimanyu goes on with his life. Then, when she comes back a series of events take place which allow Abhimanyu to express her about his feelings for her. This is what the story revolves around. This movie came in the year 2013 and it is said if there is one thing in Bollywood which is present in abundance, it is the range of underrated films. This movie wasn’t really a bad film wherein Khurrana plays the role of Ram Parmar, who finds a man named Mandar who is trying to commit suicide. But Ram wanted to save him and helped him by getting a job in his theatre play and also decided to make these lovers reunite. However, in the end Ram meets Nandini, who is the love interest of Mandar and falls for her leading to making the entire situation complicated and messed up. This movie was released in the year 2017 and the story revolves around Bitti, whose role was being played by KritiSanon. She doesn’t want to get hitched to just any man and wants to get married to someone who would understand her and accept her for who she really is. One day, after she plans to elope from her house, she purchases a book from the railway station and find the character of the book relate to her so much that she decides to find its author. Interestingly, ChiragDubey, whose role is played by Ayushmann Khurrana, is the guy who owns a printing press and where the book was printed. When Bitti seeks help from him regarding the author PritamVirodhi, the writer, he starts communicated with her through letters. Eventually a lot of things get mixed up and confusing. Planning to book tickets for Ayushmann Khurrana concert in Bangalore, remember these movies to understand the kind of skill and talent you would be able to witness.